The V30 is LG's latest flagship smartphone. There's no more of the second screen found in V10 and V20. Instead, there is now a floating bar. Thus, the V30 can have a larger 6-inch Quad High Definition+ (QHD+) 2,800 x 1,400-pixel Oled FullVision display (compared with the V20's 5.7-inch display) that supports the HDR10 high dynamic range standard. And it looks absolutely gorgeous with its rounded curves and thin bezels. The screen is truly magnificent to look at. All the icons look really sharp. When I held the V30, its metallic body frame just felt premium and smooth. It is a fingerprint and smudge magnet, though. But it is great for a one-handed operation. My thumb does not need to stretch too much to swipe up or sideways. This is because LG has managed to make the V30 8mm shorter and 3mm narrower than its predecessor. It measures 7.3mm thick and weighs 158g. I like the fact that the fingerprint sensor is still located below the rear dual cameras, so your finger does not need to look for it. The V30 continues its predecessor's rear dual-camera system. But it has a 16-megapixel f/1.6 camera with a 71-degree field of view (FOV) and a higher, 13- megapixel f/1.9 wide-angle camera (up from the V20's 8-megapixel one) with a narrower FOV of 120 degrees. The V20's 135-degree FOV causes much distortion, so the narrower 120-degree FOV seeks to rectify that. The much-touted Cine Video mode consists of various cinematic effects and the point zoom. I find the point zoom to be more useful, as it allows you to select a subject and slowly zoom in to that subject. It is just a more elegant way of zooming during video recording. Even on first impressions, the LG V30 is looking to give its competitors a good run of their money. Sony's 5.2-inch (full high-definition) Xperia XZ1 and the 4.6-inch (high-definition) Xperia XZ1 Compact target a different audience from that of the flagship 5.5-inch (4K) XZ Premium. According to Sony representatives, the XZ1 and XZ1 Compact are for those who do not need the high-end specifications of the XZ Premium, or who prefer a much smaller form factor. But both the XZ1 and XZ1 Compact are no slouches. They are powered by the Qualcomm Snapdragon 835 mobile platform for smooth performance. Both will ship with the latest Android 8.0 Oreo operating system, which means they will be the first smartphones to run Oreo, other than Google's own Pixel and Nexus smartphones. On the downside, I think the design of both XZ1 and XZ1 Compact can be improved. Both look rather boxy, even though the sides are rounded. Bezels on top of and below the screen are quite thick, enough space to have buttons on them. Coming off hands-on sessions with the Samsung Galaxy Note8 and LG V30, I think I can be forgiven for thinking that the XZ1 duo lack the sleekness of their competitors. This is especially so with the XZ1 Compact, which has a glass fibre plastic body. Furthermore, both XZ1s do not come with rear dual-cameras. Instead, they feature a single 19-megapixel rear camera. Sony representatives said the company does not see much benefit in the dual-camera system, and instead decided to make sure the single camera is of the highest quality. For example, it can record 720p video at a whopping 960 frames per sec for ultra-slow-motion footage. Both XZ1s also come with Predictive Capture that will automatically start taking pictures even before the moment begins. Perhaps the most intriguing feature is the 3D Creator. It can capture high-quality 3D scans of objects in just 1min using the four scan modes - head, face, food and freeform scan. During the demonstrations, the 3D Creator was surprisingly accurate in delivering a full head scan of the subjects. But you probably need to find some place with even lighting, as some of the head scans have different brightness. Samsung released three wearables at IFA 2017, but the Gear Sport is the one that caught my eye. 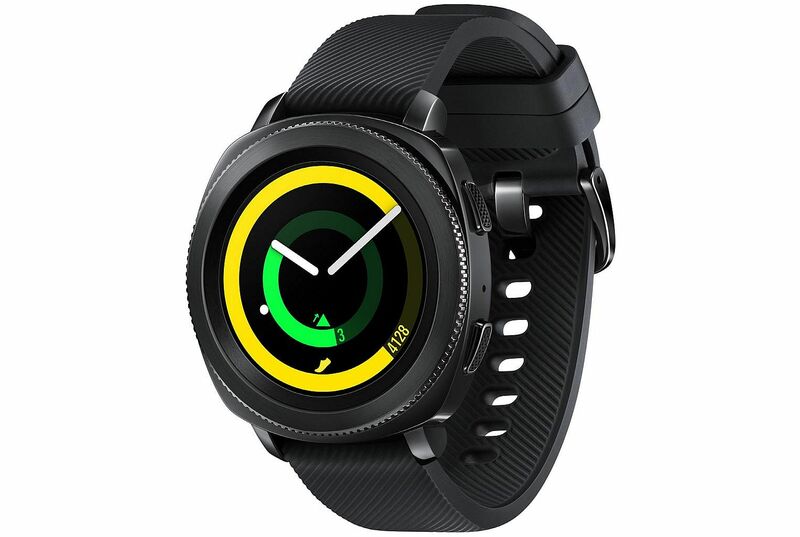 It has sportier looks than the classic design of its Gear S3 cousins. It also has a slightly smaller 1.2-inch Super Amoled display and supports Samsung Pay wireless payment. On the "sport" side, it has built-in GPS for tracking runs, a built-in heart-rate monitor and 50m water resistance. Using the Speedo On training app, the Gear Sport is able to track your swims, such as lap count, lap time and stroke type. Fitbit has finally unveiled its smartwatch, the Ionic. 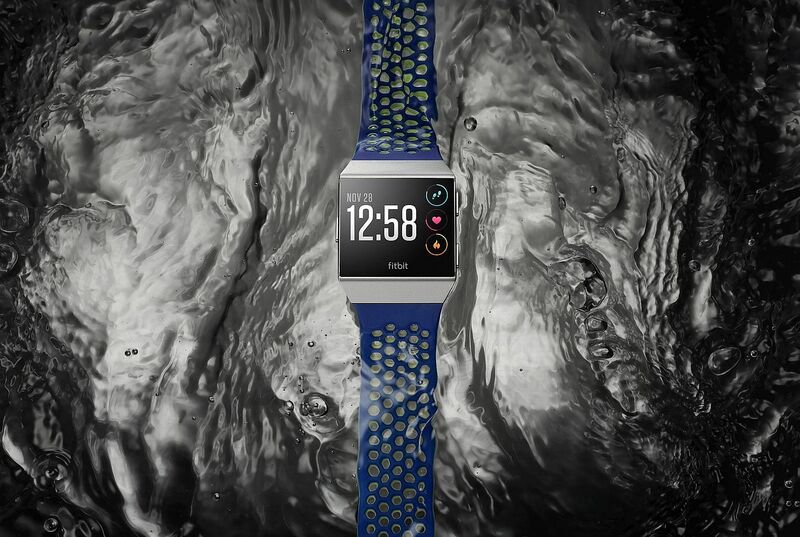 It has everything you want in a fitness smartwatch, such as built-in GPS, a built-in heart-rate monitor, sleep tracking and even a relative SpO2 sensor for estimating blood oxygen levels. It is also water-resistant to 50m. Thus, it can also track your swims. Looks-wise, it is not going to win any beauty contest. But it is said to have a five-day battery life. The Ionic will be available next month at $458. Garmin calls its new vivoactive 3 a GPS smartwatch. But, during a brief hands-on, I still found that it looks like a GPS running watch. It has built-in GPS and Garmin's Elevate wrist-based heart-rate technology, as well as smartwatch functions such as display notifications. 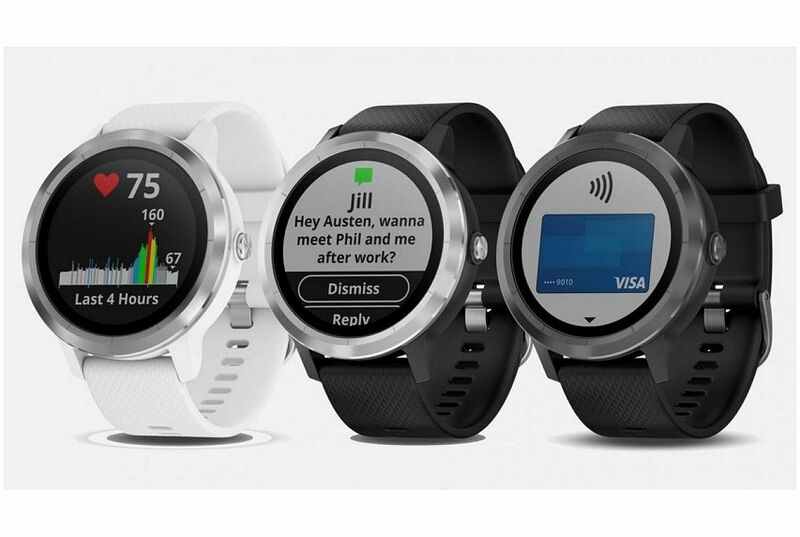 However, it is Garmin's first wearable to feature Garmin Pay, which lets you pay for purchases with your watch. The Straits Times understands that the vivoactive 3 will be available in Singapore soon, but Garmin Pay is not confirmed. 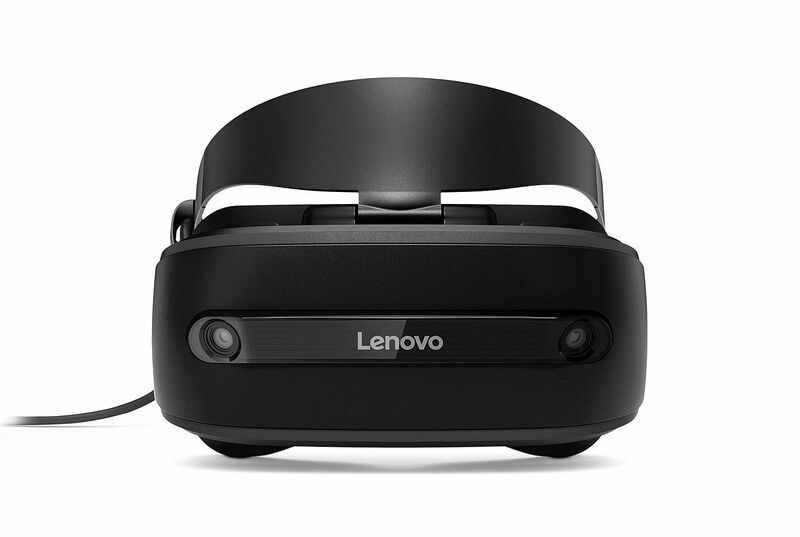 Lenovo, one of the PC makers working with Microsoft to deliver the Windows Mixed Reality experience, has launched the Explorer. Plug this headset into any Windows machine using the built-in Y-cable to connect to your computer's USB and HDMI output ports, and you can be watching 360-degree videos and playing virtual-reality games in a jiffy. There is no need to set up any external sensor system. You can even use it for working on Microsoft Office documents. Local pricing and availability have yet to be confirmed.